Calling the Chevrolet midsize FWD-based unibody crossover that was recently unveiled a “Blazer” doesn’t seem to be striking positive chords with the public. Much like if the Camaro were to be re-spawned as a front-wheel-drive sedan, the connotations of the Blazer name clash heavily with the vehicle that now graces. The Blazer nameplate would have been perfect for a vehicle to rival the upcoming Ford Bronco, which will be an off-road oriented body-on-frame SUV. To make things more frustrating, it’s as if Chevrolet has been completely oblivious to the surging off-road SUV and overlanding space that brands like Jeep and Toyota enjoy. Aside from the Colorado ZR2, there likely isn’t a Chevrolet vehicle in the local Moosejaw or REI parking lot. That likely won’t change soon, but it could with a proper body-on-frame midsize SUV that seeks adventure, just like the original Blazer. 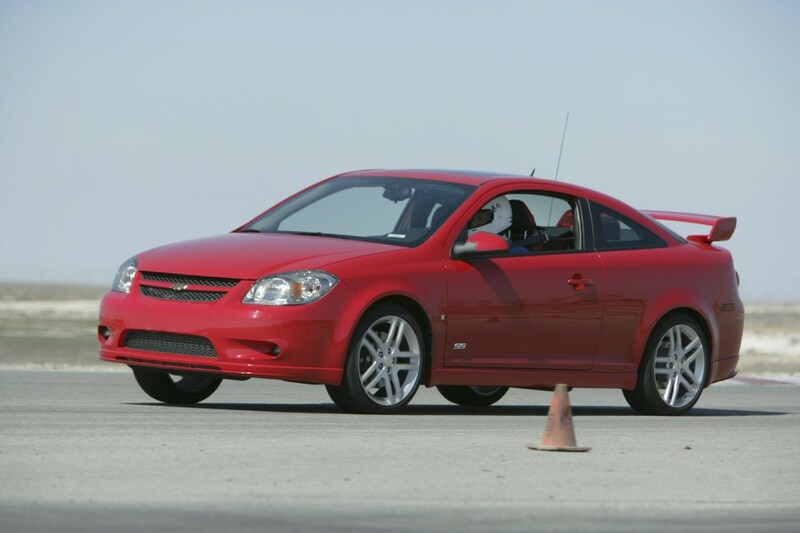 10 years before the Honda Civic Type R, there was the Chevrolet Cobalt SS. The unassuming compact sucker punched segment leading AWD vehicles in the mouth when the turbocharged version came on the scene, such as the Subaru Impreza WRX STi and Mitsubishi Lancer Evolution. It’s been heralded as an impeccable driver’s car by every magazine that’s tested it, and was the last true FWD performance car GM has built. Since then, Chevrolet has found it difficult to attract enthusiasts that can’t afford a Camaro, or would rather prefer something more practical. A performance variant of the Chevrolet Cruze could fix this, but we continue to hear of staunch resistance against this idea within General Motors. Chevrolet no longer has a compact truck. In fact, the Chevrolet Colorado crew cab with a long box encroaches on popular Silverado configurations in overall length (225 inches vs 230 inches, respectively). Looking at the dimensions between the previous generation Colorado to the current one demonstrates stark differences in size, by a minimum of 20 inches in length and 5 inches in height. Meanwhile, reports have come out that Ford is looking to launch a small pickup truck to slot below the incoming Ranger midsize truck by as early as 2022, which is the next logical step in the marketplace. A little pickup from Chevrolet that embodies the S-10 would be well suited as an urban work vehicle, and an entry-level carryall for different customers new to Chevrolet. Didn’t you hear? Living in a van is cool again. And off-grid camping has seen a rise in popularity. 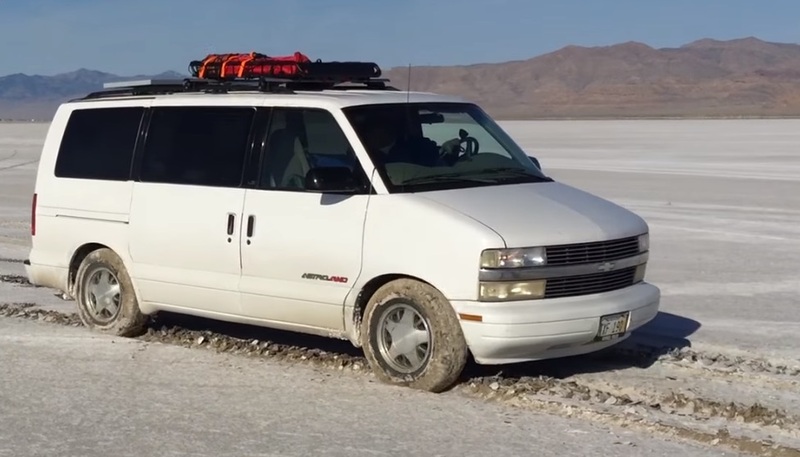 Volkswagen even hosted a media drive of their Chevy Astro-esque T6 California camping van in America, despite not being sold here. The utilitarian Astro van could be reintroduced, but with more of an adventurous theme showcased by the T6 California to cater to minimalist vagabonds (the trendy ones that can support themselves, yet voluntarily choose to be homeless). It would also serve as a well-placed cargo van below the long-in-tooth yet profitable Express full-size van. A plug-in hybrid system or even an electric drivetrain would make things even more interesting. Moreover, the size and utilitarian design would make a reincarnated Chevy Astro van an ideal candidate for either autonomous vehicle or ride sharing platforms, like Waymo or Uber. Wall Street likes this. Ford plans to attack both the iconic Toyota 4Runner and Jeep JL Wrangler with two vehicles. One is going to be the new Bronco, and the other is described as a “baby Bronco.” The Chevrolet Tracker was a rebadged Suzuki Vitara/Grand Vitara and embodied a little off-road friendly SUV that was lightweight and affordable. Should Chevrolet product planners come to understand the appeal of the off-road SUV market, a redux of the Tracker to play sidekick to a midsize SUV that rivals the Bronco would increase the bandwidth of adventurous vehicles for buyers to see the USA in their Chevrolet. So many people loved the Chevrolet Avalanche that it’s become impossible to ignore the emails, comments and passionate dialogues happening all around us. This truck/SUV combo, formally classified as a “Sport Utility Truck”, essentially invented the crew cab pickup truck segment at the turn of the millennium. 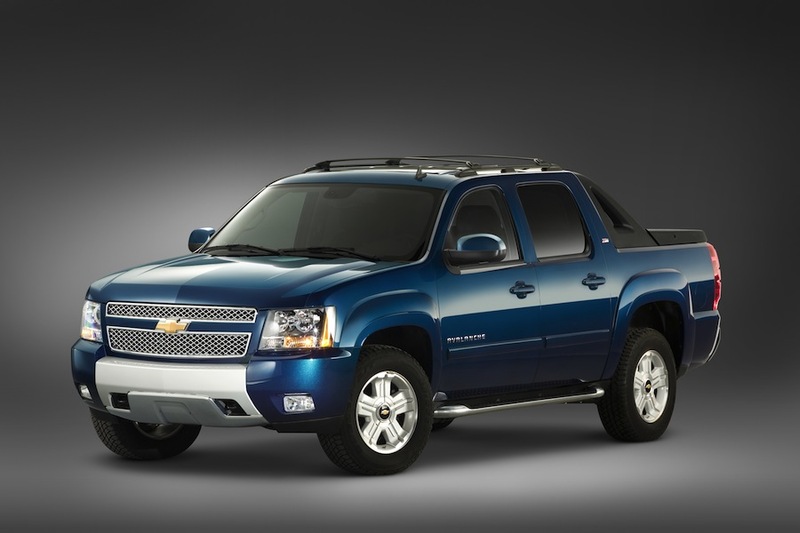 In doing so, the Avalanche became a victim of its own success, and Chevrolet pushed forward with the crew cab Silverado following the Avalanche’s discontinuation after the 2013 model year. But the Silverado is still missing a crucial detail that made the Avalanche so beloved: the mid-gate passthrough that turned the rear of the cabin into an 8-foot truck bed. Chevrolet then tried to appeal to the Avalanche faithful with the Silverado High Desert package, which added sport bars, lockable storage boxes, and three-piece rigid tonneau cover – just like the discontinued Avalanche. But again, no mid-gate, and owners have stubbornly held onto their prized SUTs. Should Chevrolet ever resurrect this model, there would be business risks to consider. The question of whether or not the Avalanche and Silverado can actually co-exist is a big one to answer. As is the question of whether or not sales projections of an Avalanche would sink after its die-hard fanbase purchased them in the first year it returned. These will likely remain unanswered unless we were to see the situation play itself out in real time. There continues to be declaration that the full-size sedan segment is on its death bed. We just happen to think it’s too boring and there’s zero marketing effort to attract anybody. There’s also the example of the oddly named Chevrolet SS Performance Sedan selling at a snail’s pace, but likely because the cost of entry was too high because of no base trim level to start from. We think this deserves another look with a more committed strategy. A new rear-wheel-drive Chevrolet Chevelle could compliment the Camaro, in a way that Dodge has been the envy of the industry with the Challenger and Charger. Does that mean introducing a Chevelle with four doors? Likely yes, but GM’s Alpha architecture sure could use the added scale, as could Omega. After some thought and some comments, we’ve taken the liberty to add three additional vehicles. 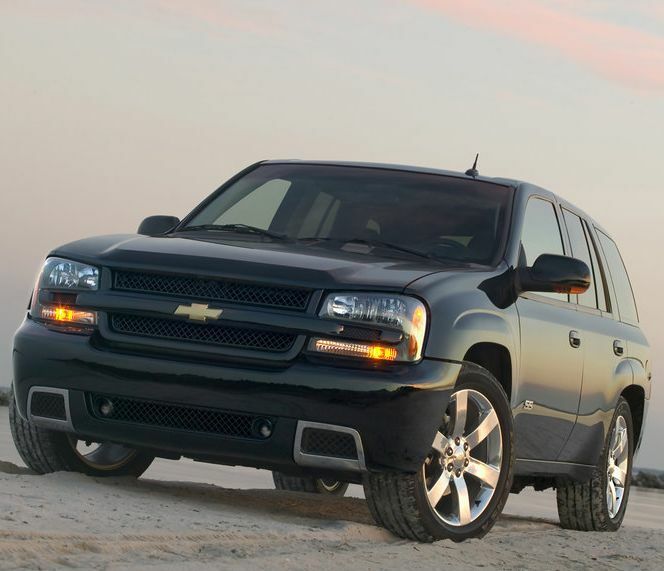 The Chevrolet Tahoe RST has its heart in the right place, but the idea could be honed a bit. The best examples of an American brand SUV that execute on this idea come from FCA, with the Dodge Durango SRT, Jeep Grand Cherokee SRT, and the Hellcat-powered Grand Cherokee Trackhawk. The Chevrolet Trailblazer SS was the embodiment of a fast American SUV before any of these vehicles existed, and remains coveted on the second-hand market. So much so that they’re often stolen. A midsize SUV with a small block V8 such as the LT1 or even the supercharged LT4 backed by the performance know-how of Chevrolet Performance would blend the velocity of a Camaro with the practicality of a family crossover. Plus, think of the profit margins. This is another one that’s kept a cult following almost 20 years later. Truck buyers continue to look for more power, and the growth of the aftermarket industry reflects this, indicating that Chevrolet is leaving money on the table. Just like the Trailblazer SS, a Chevrolet Silverado SS doesn’t seem to make much sense for the dedicated road course aficionado, but that hasn’t stopped people from wanting them. And also like Trailblazer SS successor, a Silverado SS would likely be a high-margin vehicle. Chevrolet can pretend it’s not happening all it wants. But there’s too much evidence that there’s a (rear) mid-engine Corvette coming, and reports have stated that it likely spells the inevitable end of (mid) front-engined Corvette body style. The risk here is that the 2020 C8 Corvette and its mid-engined layout could alienate just as many buyers as it newly attracts, rather than retaining old customers and expanding sales with new ones. We theorize that a functional hatchback (no more golf club storage with C8), an easier ingress/egress (compared to what’s anticipated with C8), and a lower MSRP (compared what’s anticipated with C8) will likely contribute to reasons why somebody would rather stick with the traditional body style. 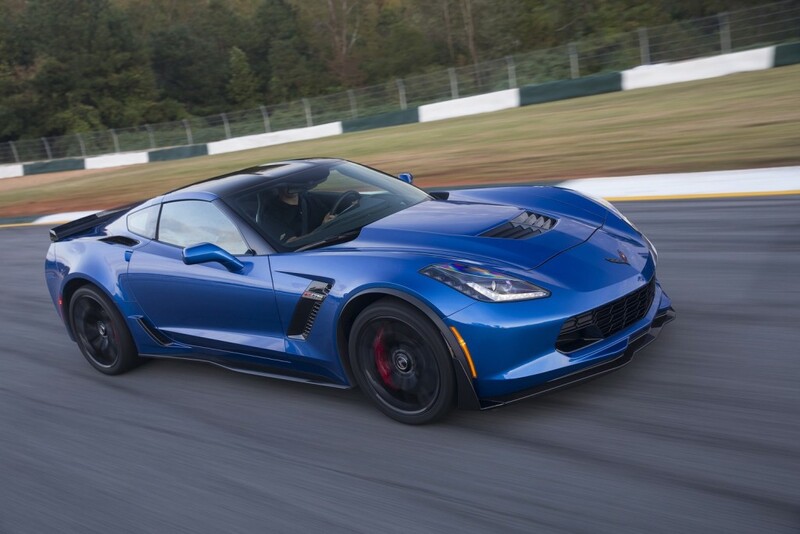 The Corvette is the best selling sports car in America, after all, which means it’s a highly proven formula. We see no real reason why a front-engine Corvette and mid-engine Corvette can’t coexist through a long timeline, but for that to happen, they both need to have a future. And probably their own brand, too. FWD is the dumbest performance platform, IMO that is a strong reason the Cobalt SS failed. There is a reason the Evo and STI sell/sold well. They check a lot of boxes that people want where as the Cobalt only checked a few. If there were a performance AWD Manual version of the Cruze it would sell. I would buy it. GM clearly doesn’t care to get in that market, but I wish they would. 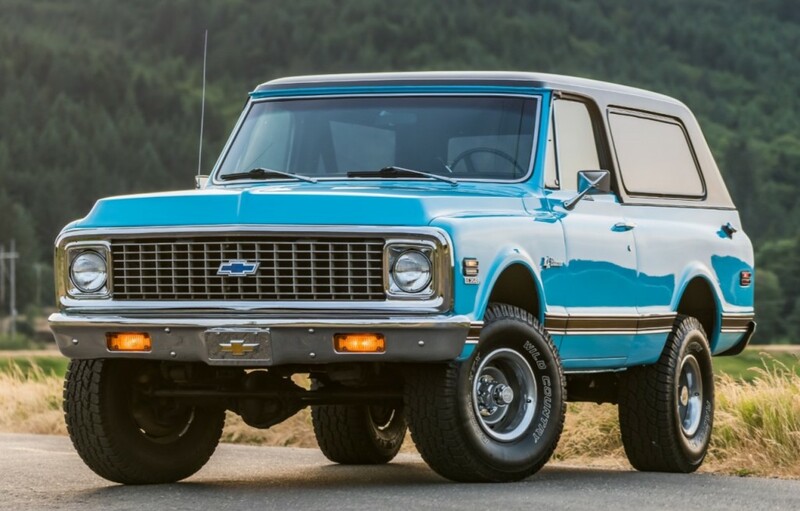 K5 Blazer: This needs to happen, like yesterday! full size, rugged, squared off, off-road, two and four door Silverado based SUV that can tackle the streets and the trails. Z71 Trail-Boss suspension setup, bead lock 18″ wheels, 5.7L V8 engine, wash and go interior that still has all of the necessary creature comforts, removable top, etc. Don’t make Ford’s mistake and make this without a V8! S-10: The real S10 does need to return and slot under the Colorado. It still needs to be a truck-based truck but it needs to go back to being a small entry truck and have the S10-Blazer SUV option as well. The 275hp 2.0L Turbo would fit good here as this vehicle would be super light weight even with a four-door configuration 2+2 seating. It needs to be customizable with different trim levels from a regular work truck, a sporty street truck (Xtreme), a ZR2 & ZR4 off road sport trim and a top of the line LTZ trim. Astro: The return of the RWD minivan!! The cool thing about this is that the Minivan could be anything you want it to be, especially with a RWD based chassis. A Camper, a custom street van, daily commuter, soccer mom super vehicle, super luxury transport, a work van, etc. Stuff in the new 2.7L Turbo I-4 with the optional 5.3L V8 and you have a winner. Stuff this thing with top of the line GM/Chevy level technology and off you go! Chevelle: the full Holden Commodore lineup from Australia on the new Alpha chassis offered with the LT1, LT4, LT5 engine options as well as the new 2,7L Turbo engine as the base engine pumped up to 350hp/380tq. This also makes room for the Holden Maloo/ Chevy El Camino with everything from the 2.7L turbo all the way up to the LT5 V8. Avalanche: Silverado high desert/high country, just without the sail panels. the Avalanche was cool in its own right but the Silverado (in my opinion) is a better looking truck. just add the cargo boxes in the sides of the bed, a locking tonneau cover and tailgate. with the new GM engine options and tech, this would be a better setup. Tracker: Wrangler fighter with enough room for the weekend campers, light fishing trips, small game hunting, grocery shopping and a day at the mall that’s comfortable enough to be a daily driver but tough enough to still be functional when the blacktop ends. the 275hp 2.0L Turbo is plenty for a vehicle like this and it needs to be a rear wheel drive based chassis with all-wheel drive all the time. As far as the other vehicles that GM has right now, there are some vehicles that could stand to be dropped or shifted to something else. The Tahoe and Suburban are solid vehicles and the upgrades that are coming to them such as the IRS and the new 2.7L are good upgrades along with the 10-speed auto. Granted their styling is questionable and they should go to the new Silverado styling immediately along with having different packages and options. The Tahoe should get a blacked out “Limited” package that blends the RST Performance (with a lowered high performance street tuned Magnetic ride setup, big Brembo brakes, dual mode Borla exhaust, a cold air intake for the 6.2L 450hp/480tq, 10-speed auto, all wheel drive, Independent front and rear suspension, etc.) with a blacked out version of the High Country’s luxury interior with 22″ wheels along with a better Z71 off road setup that won’t step on the full-size blazer’s toes but still be able to go off road on hunting and fishing trips or canoeing trips and things like that. The Suburban should have an off road package to but the Limited package should focus completely on luxury and that’s it with the 2.7L or optional 5.3L V8. Another vehicle that should be brought back is the Trailblazer & Trailblazer SS. This would be the Durango fighting SUV with the 2.7L 310hp base model, a 5.3L V8 RS model, a 455hp LT1 powered SS and a 650hp ultra high performance model to compete with the Jeep Grand Cherokee Trackhawk. this model should be the ZL1/ZR1 of the SUV world. Someone above mentioned the Chevelle would hurt the Camaro sales. If Chevrolet doesn’t do something different with the Camaro, yes this is true. But the Camaro could truly be so much more than it is right now. Chevrolet needs to pull out all of the stops with the Camaro and stop having it play second fiddle to the corvette. The Corvette is a 2-seater sports car, the Camaro is a 2-seater Muscle/Pony/Sports car. It does need to have some trickle down parts from the vette though, such as a hatchback cargo space and a lot more cargo volume. Also the car needs better visibility from inside the car along with moving more to the mid-70’s styling, which would go along with the car’s fastback styling and also move it to being able to have a slightly wider body which could help out in not only a new more aerodynamic shape but also a little more room inside the car all while allowing it to maintain being the lightest car in the muscle coupe trio. If anything, the engine options should change up just a bit with the base engine being a 350hp/375tq 2.7L I-4 LT-trim AWD coupe, a 405hp/420tq 5.7L V8 Camaro RS coupe/Convertible with optional 1LE package, a 495hp/510tq 6.4L-396 Camaro SS with an optional 1LE package, the 6.2L LT4 Supercharged 650hp V8 Z/28 and lastly the 750hp LT5 Supercharged V8 ZL1. The interior should go to more of the 1970 Camaro interior as well but with a full LCD instrument cluster, a flowing center console that integrates directly into the center stack infotainment system and an interior so comfortable it will make mustang owners swoon. It still needs optional Recaro seats and everything because at the end of the day its still a Camaro but it should absolutely be better than the other two cars in its class. The return of the red outlined black bowtie should be on this car along with the Camaro tri-bar. The car should still have the Tri-Y headers but a more mid-length design with better scavenging would help with power, along with a better exhaust system. As it stands, Dodge has the best sounding exhaust of all three muscle cars right now as it still maintains that genuine Mopar muscle sound that it’s had forever and the new 2018+ mustang sounds better than just about any mustang that has come before it. Would love to see Chevrolet do something a bit different and have a deeper sounding exhaust note (maybe a resonated X-pipe section along with two high flow center resonators before the active valve rear mufflers). Along with all of that, the Camaro needs to go back to being more affordable. I can understand the Z/28 and the ZL1 being pricey but the LT, an RS-V8 and the SS should go back to being a bit attainable. I’m not saying cheap but attainable (like $7500 less than what they are now). Other than what’s mentioned above, there is no real need for small cars. The Malibu has become the daily commuter, which needs major upgrades if it wants to compete with the Maxima and Camry. It needs to be sportier for sure and all-wheel drive needs to be standard on this vehicle and it needs a true RS package to outdo both of its Japanese rivals. I’m talking Magnetic ride sport tuned suspension, Brembo brakes, active exhaust, current Camaro inspired interior, an aggressively attractive exterior (meaning it doesn’t need to look like a ZL1 or ZR1 but at least more so than what it does now) wide 20″ wheels with ultra high performance all season tires, a better 9-speed auto, torque vectoring, hybrid-electric differentials, and a 350hp 2.7L FWD configured I-4 Turbo engine with 350tq that would make it better balanced along with a 275hp 2.0 Turbo base engine. Obviously this car’s mission is different than the aforementioned Chevelle sedan which would be slightly larger and on a rear-drive chassis but it should still inspire spirited driving and be a better tuned option than a Camry, Accord or Maxima. It should still be a lift-back car but more of a Grand Touring sedan kind of like the Kia Stinger GT but with a taller integrated lip spoiler than continues on the rear quarters. The Impala still has its place in the market, just like Buick’s Lacrosse and the Cadillac sedans. 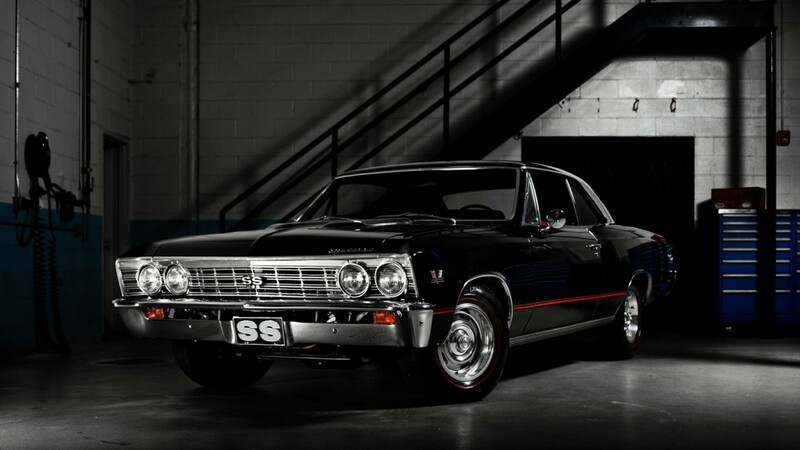 The Impala needs to move to a rear drive chassis and a full size SS V8 needs to make its return with the 650hp LT4 V8 and 10-speed auto under its hood. It does need to be all wheel drive but biased to the rear with a ZL1 Magnetic ride suspension and a massive 20×10″ front and 20×11″ rear wheel setup with 305/35R20 front and 325/30R20 rear tires for the ultimate in handling and grip for such a large car. It needs to be loud and proud but still incredibly comfortable. Of course their needs to be a luxury LS impala and a base LT impala, the LS should have the 455hp LT1 and the base should have the 355hp 5.3L V8 all with 10-speed automatics and AWD and obviously a more normal wheel and tire package and different suspension setups and all that but that should be such a car. There also needs to be full electric segment to take the fight to every thing Tesla has in it’s inventory. GM & GE need to team up together to make the ultimate electric cars and stomp Tesla out. There’s no need to rename anything, take the names of the current small cars/crossovers and use them for the electric cars. Other than that, take the Corvette, give it to Cadillac, make it a mid-engine supercar and make it a lambo/Ferrari destroyer and that’s really it. Chevrolet would have a perfect lineup. Updated to reflect Trailblazer SS and a few others we forgot about. Forgot a few things. The Chevy Silverado Truck lineup and the Colorado truck lineup. 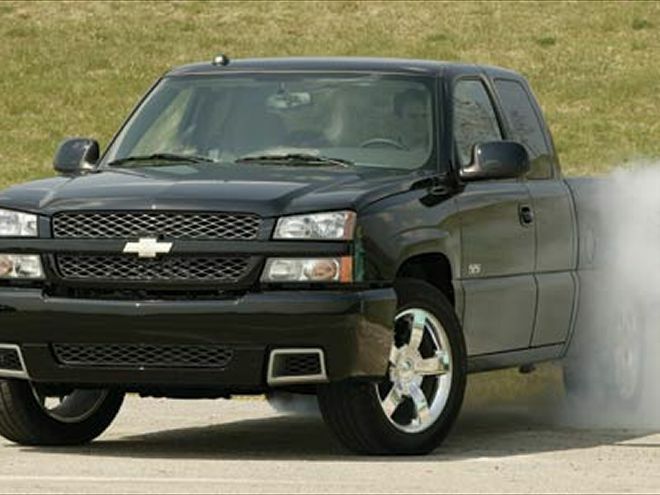 The Silverado needs a 650hp SS LT4 V8 powered AWD street performance pickup along with a 500hp ZR2 pickup. The Silverado HD needs a serious diesel powered lifted ZR2 edition truck with exhaust stacks and a snorkel with 500hp and 1000lb-ft of torque along with the whole lifted suspension, huge wheels and off road tires, body armor, under body shields, rock sliders, etc. The Colorado needs the Holden Sports Cat variant as well as a more extreme ZR2 and a luxury High Country variant. Pretty much agree. The Astro/Safari were the backbone of the service vehicle industry and I have run across countless guys who used to drive them that have lamented their demise. They were also great people haulers too, much better than a crossover and even had the AWD version. Btw I completely forgot, the Camaro needs T-tops and get rid of the Corvette inspiration on the tail lamps and give it lights that go all the way across like Camaro lights should. three-section sequential. Point of no return is approaching for a couple of the front-engine C7 Corvette because once the assembly line is updated to build the new mid-engine C8 Corvette, it might be impossible to restart and may cost a lot of cash to make the attempt; they can relaunch the Avalanche if they really want to and building a Cruze SS is as simple as dropping a 1.6 or 2.0L Turbo 4-cyl engine. It’s the pickup and suv EVs that many are waiting for. All about economics, I need something that can pull or haul something small, and yet be a cheap commuter. So put batteries in a new S-10 or Astro and you’ll have no cannibalism or competition. Even better if AWD with some power! The new Blazer could rebadged as the Tracker, it’s too ugly to be a Blazer. Take the Traverse, shorten it to the length of the Acadia, then with the option of the six cylinder or a V8 you can have both the Blazer or Blazer SS. I own a 2009 Escalade EXT, the best riding vehicle I have owned. I love the utility of this truck. The side storage and the hard tonneau cover. The ride of an ESV with the utility of a truck. AMEN!! Finally, a great observation with an understanding for what is desperately missing and needed. I would be ecstatic if half of the list got recognized! Great job, Manoli, creating this list! Some of these vehicles would serve as important market void fillers, ie., the Astro van as a midsize BOF rear/all-wheel drive workhorse that I see still being driven today, and used for many different purposes. Good friends of mine were forced to buy a Toyota Sienna to replace their beloved Astro. There are many other similar examples like this where huge market voids have been abandoned. What a shame the execs at GM are not listening! Great job, Manoli, compiling this list of worthwhile and sadly missed vehicles! Even if they do not bring the Chevrolet Avalanche back there are two things they must bring back from it. 1. Obviously the foldable mid-gate because that makes so much more possible for pick-ups in terms of loading up items. 2. The side storage units. I personally would not mind owning a Chevrolet Silverado or GMC Sierra, but I can’t find myself owning such a long truck. Our Avalanche has used our mid-gate for so much moving that I couldn’t be more thankful for such an awesome feature. I have hope though. We at least made progress with the foot mounts in the bumper of new GM trucks haha! I would buy another Avalanche in a “heartbeat…of America” 😉 !!!! I had a 2003 and then a 2008. Loved the 2003 because of all the little extras such as toe steps in the bumper and extra visors so you didn’t have to keep flipping one back and forth as you turn. Also loved(!!!) all the storage space. The panels on the sides stopped shopping carts dings. No fear in the parking lot! Okay, so they dumbed down the 2008, taking away those very useful extras in order to make it prettier, but it was great also. The versatility of an Avalanche is amazing. It converts to a full-size pickup in less than a minute, depending on what you have in the back seat. I can’t fathom why they stopped making them! Yes, the Cadillac Escalade EXT looks the same, but costs tens of thousands of dollars more. And who calls two totally different vehicles by the same name? Cadillac Escalade comes as a truck (EXT) or SUV (ESV). That’s stupid. BRING THE CHEVY AVALANCHE BACK!! My Cousin have the Chevrolet Trailblazer SS 2016, she usually use it and she enjoy drive that car. I hope this car will come back with new design and engines next year. I love the avalanche im a proud owner of a 2003 and avalanche and its knocking on 400,000 miles. I drive it everyday so i think its time for the real Chevy to take over once more. I still own my 2002 Avalanche that I bought in August of 2001. Best damm vehicle I owned.